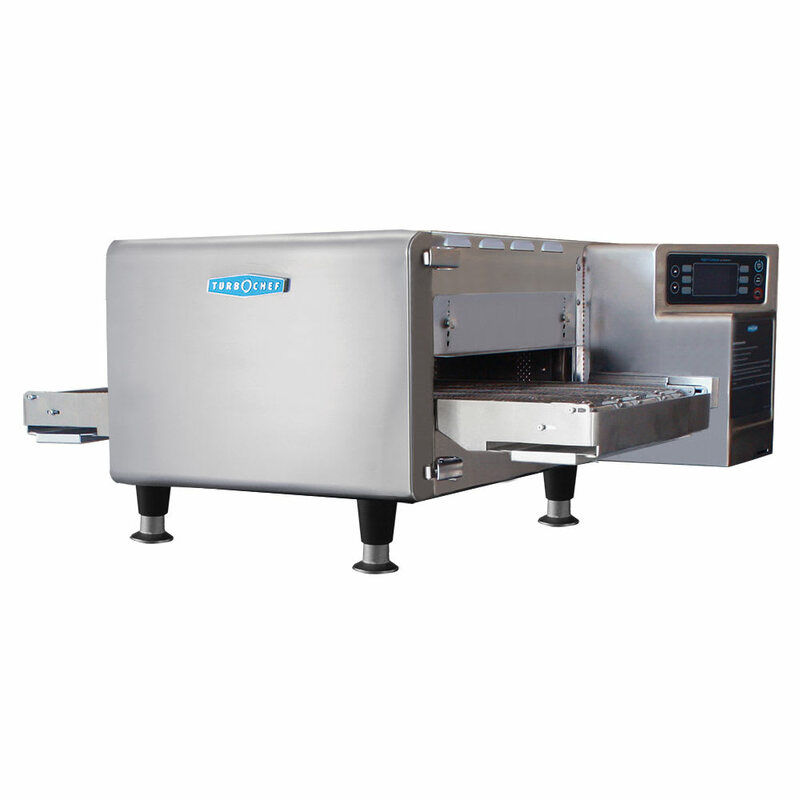 The TurboChef HHC1618STD-36 conveyor oven uses impingent blowers to surround products with blasts of hot air from the top and bottom. These blowers have independent controls so the temperatures can be individually adjusted to create crispy crusts. It operates at temperatures as high as 600 degrees Fahrenheit, and the strong, stainless steel construction aids in cleaning. Its panels and covers stay cool to the touch to help prevent burns. 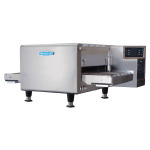 The TurboChef HHC1618STD-36 conveyor oven has a 36-inch long conveyor, with a 16-inch-wide opening that can be adjusted from 1 to 3 inches to accommodate thick sandwiches and pizzas. Baking time ranges from 30 sec. to 15 min. 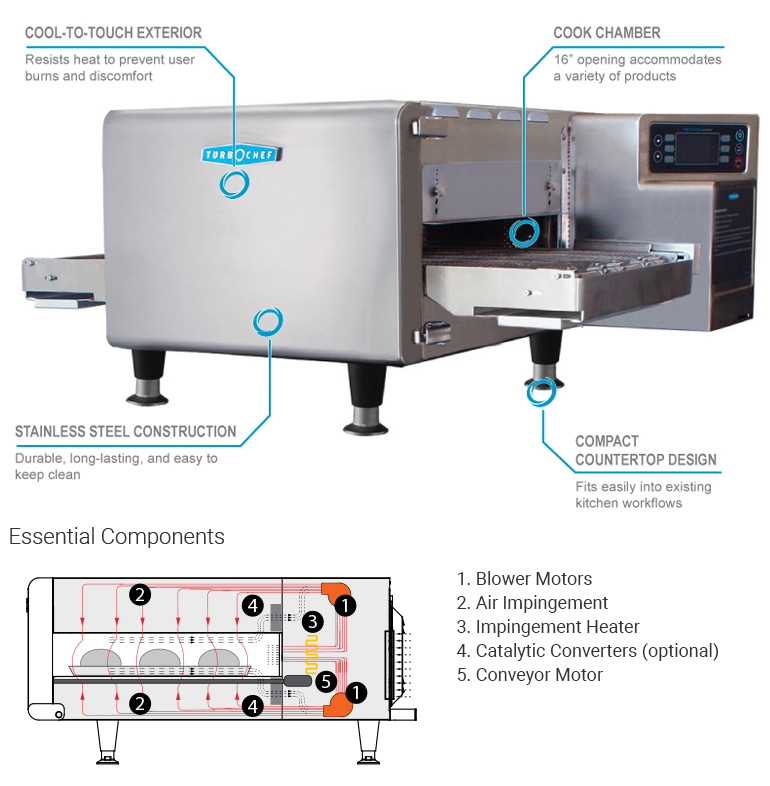 For more information on impingement and conveyer ovens, visit our buyers' guide.